Margaret Biser, who has led historical tours at a Southern house and plantation for years. 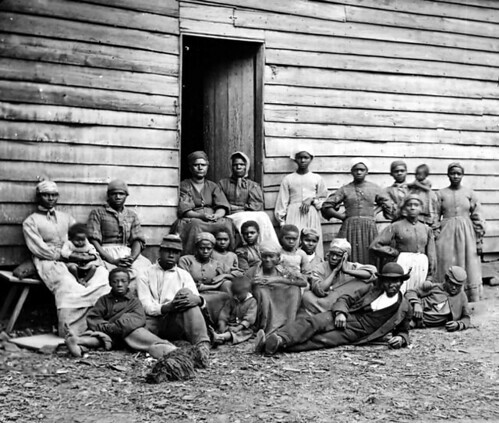 She writes about the questions she received, such as whether the slaves appreciated the good treatment they received or whether being a house slave instead of a field hand was a cushy life. Why did her guests continue to ask questions ignorant or opposed to the history she presented? Inaccurate education for many. Apathy for some. This is how I understand the KKK began. You could call it a failure of believers to reach poor white members in neighboring small towns with the full gospel, but however you want to think about, people who felt rejected by their community turned their bitterness against blacks, an easy target. And some carry on that legacy today, both directly as members of the Klan and indirectly when they argue that #BlackLivesMatter is not as strong as #AllLivesMatter, missing the point that black lives are the ones still longing for respect. “Addressing racism,” Biser writes, “isn’t just about correcting erroneous beliefs — it’s about making people see the humanity in others.” But with dehumanization active all around us today, we should wake up to the fact that we won’t learn this lesson without the gospel fully applied. Some of us haven’t learned it even with the gospel.